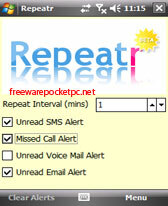 alarm freeware downloads for Windows Mobile Phone. 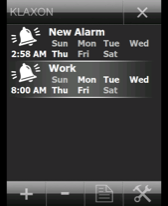 New application to manipulate the alarms on your device. So Page Brooks was talking with me earlier this week and he . Summary: 12 alarms for WM 6.1 and 6.5 (.net framework 3.5) (can be used with ocAgenda) screenshots in French, but the default language is English ! Summary: This is the initial release of my latest Application called locationAlarm. This App can wake you when you really need it! Not based on Alarm Time as usual, but on the location you are in right now! Summary: The Alarm Pocket is designed for Pocket PC running under Windows. 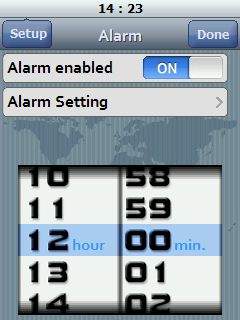 This is the alarm clock where you can define settings for selecting the six included sounds or your own. Summary: New application to manipulate the alarms on your device. Summary: DTM is an accelerometer-based application that raise alarm when any movement is detected. Summary: Monitor and measure time with alarms. Virtually unlimited number of stopwatches, countdowns and t-minus instances.